As the saying goes, time waits for no man. 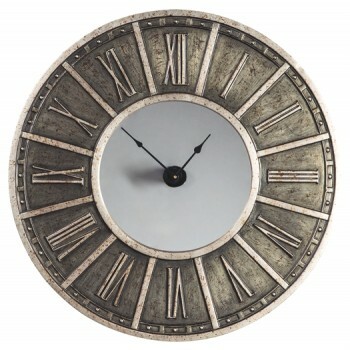 This wall clock exudes old style galore with a slightly industrial spin. Stately Roman numerals and decorative rivets in champagne finish sit proudly against the rubbed black backdrop. Large scale keeps you on schedule for all of life’s greatest moments.